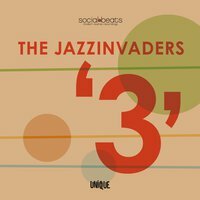 Following their successful album releases ‘Up ‘n Out’ (2006) and ´Blow!´ (2008) which received rave reviews from DJs, press and audiences all over the world, the Jazzinvaders are now ready for their next ride. ‘3’ features some extraordinary guest appearances. The Dutch singer Brian Zalmijn sings on a couple of songs and the well respected Dutch guitar player Anton Goudsmith (of the New Cool Collective) contributes on two tracks.